You can not make your dream house unless the furniture placed there is not according to your choice. Me and my wife are the real fanatics in the matter of our indoor and outdoor furniture. My wife almost always have a craving of bringing a change in the entire look of our home interior so she always keep on making experiments. 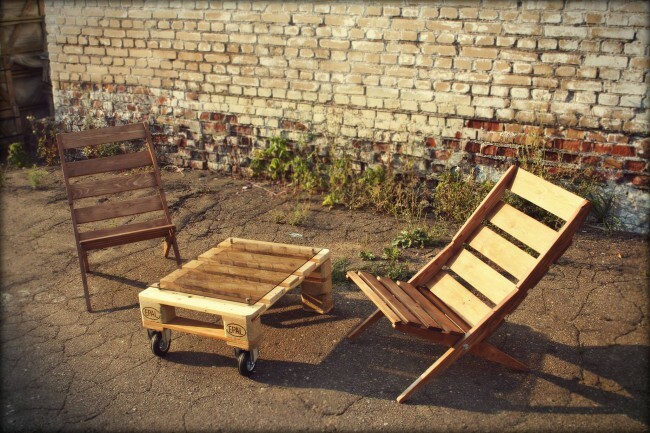 For me this was a real headache in the beginning when I had to spend bunch of dollars in buying some new and trendy furniture, but since I have learnt recycling of the wooden pallet it has become just like a think and done situation for me. I just think about new and hot trends that are in now days, I work on the feasibility, grab a couple of some trashed pallets and gear up to work on that project. The wooden pallet is really an amazing stuff that gives you the freedom to turn the things your own pretty way. Now you are no more compelled to opt for the conventional regular designs that are always lying in the furniture market for every buyer, but you can upcycle the wood pallets at your own and make it your ideal piece of furniture. You can shape it, mold it and stain it as well according to your choice or matching with rest of the furniture. 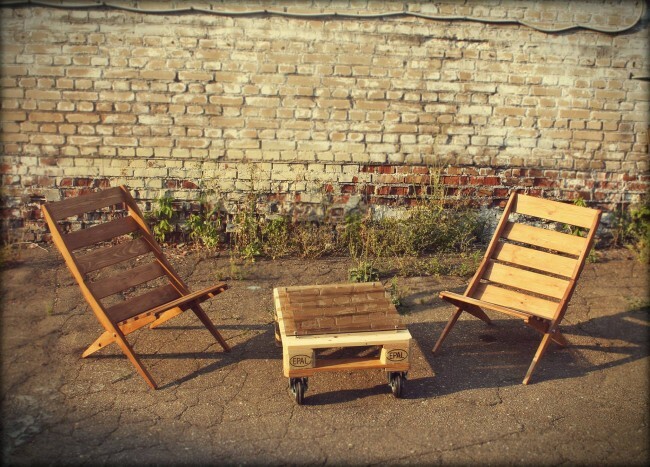 Have a look on this pair of garden pallet chairs and a movable table that completes the sitting arrangement for a couple of people who are intending to enjoy the cool breeze sitting in the garden. 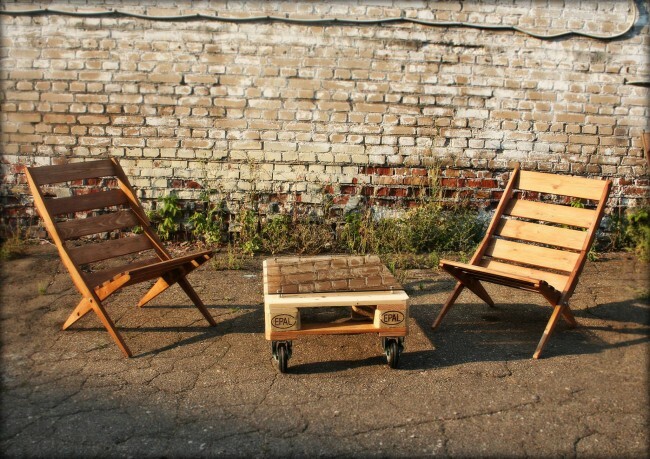 Both the easy chairs are repurposed with the pallets and the table having robust wheels that make the table mobile so that you could drag it easily at your desired place without any fatigue.